RFID is the use of a tag applied to or inserted into an object, animal or person for the purpose of identification and tracking by the use of radio waves. The tags can be either active or passive, depending on whether they contain a battery and can therefore transmit (active) or don’t contain a battery and need an RFID reader nearby to provoke a transmission (passive). RFID tags are composed of an integrated circuit and an antenna. Verichip patented an implantable human RFID (radio frequency identification) microchip which was approved by the FDA in 2004. In their own words, Verichip offer “security solutions for the identification, tracking and protection of people, their assets and their environments”. Verichip initially offered the human implants for medical purposes, so that a person in a hospital could be scanned and immediately identified. They also now offer the implantable chips (through VeriGuard) to employers for personnel security purposes. There are now many companies throughout the world offering merchandise and human tracking solutions with RFID tags. They target parents, businesses, medical facilities and individuals. SuperRFID offers parents an RFID alert system to inform them that their children have safely arrived or left school, along with a teacher/parent message service. Australia has Identec Solutions, who patented their Intelligent Long Range (ILR) RFID. Identec even offers a GPS tag (not yet available for sale in the US) which is self-tracking and utilizes satellites in combination with ILR technology to chart its course and movement. The receiver is able to ascertain the exact route and journey of any asset or person, and is designed for use in harsh environments. Identec also patented an Object Identification System (OIS) which is utilized in all its systems. For many years, certain retail products have been RFID-tagged. In 2002, IBM patented a system of identifying and tracking persons using RFID items carried on the person (Patent Application 0020165758). The Summary of the Invention calls it “a new method and system for using RFID tagged items carried on persons to identify and track the persons”. Many people have no idea that they are carrying multiple RFID tags, which can identify them. 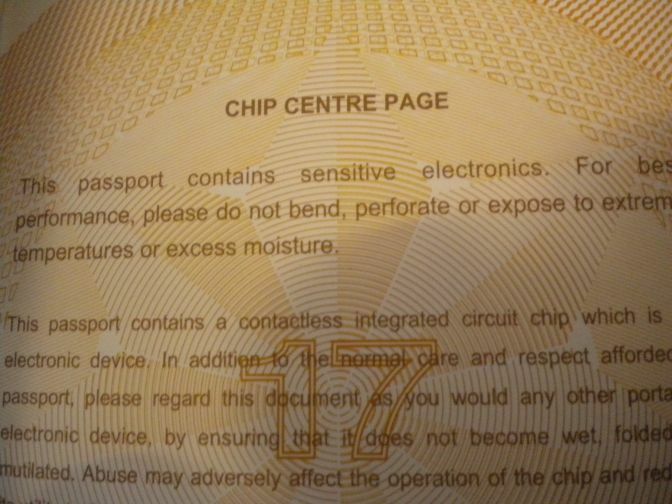 RFID microchips are now in passports and in many credit cards and bank cards. Laws and ethics arguments surrounding privacy and data collection are simply not keeping up with the exponential growth in technological applications. In April, the European Commission started legal proceedings against Britain for what it called a failure to keep people’s online details confidential. The action resulted from Internet Service Providers using Phorm (PHOR.L) technology to send subscribers advertising based on what websites they had visited. Britain was given two months to respond. Sales of mailing lists is bad enough but in a day and age when a person’s personal information can be bought, sold, collected and used in the ways it currently is, does the concept of “Privacy” have any meaning at all in the corporate world? As RFID personnel and assets tracking becomes more and more common in the workplace, human tracking is gaining acceptance. Yet do all who accept these tagging systems understand the implications well enough to make a truly informed decision? As of May 29, 2009, other than the minimum bid price of at least $1 per share, which has been suspended until July 19, Verichip does not meet the continued listing standard of the Nasdaq Capital Market requiring stockholders' equity of $2.5 million. As of March31, 2009 the company's stockholders equity was $1.6 million. Verichip announced that the Nasdaq Hearings Panel has granted a request from the company to remain listed on the condition that on or before September 1, 2009, the company must demonstate compliance with all continued listing standards of the Nasdaq Capital Market.